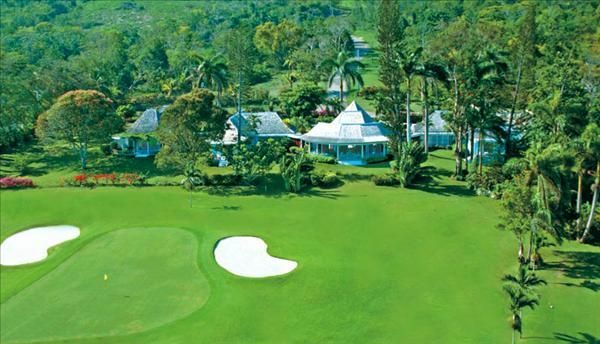 Coo Yah is located along Mahogany Drive between the 13th and 14th hole of the of the Tryall Golf course. Constructed on one level in authentic Caribbean style, Coo Yah is noted for its clever blend of elegance and informality. All bedrooms have king- sized beds and newly remodeled en suite bathrooms. The oversized master suite has a his- and-her en suite bathroom. Three bedrooms open to furnished private patios offering beautiful views. The living room is stylishly furnished and there is a separate intimate den with cable television and a home theatre system. There is a formal dining room which overlooks the heated swimming pool and informal alfresco meals can be enjoyed outside on the pool deck. The private, welcoming villa staff comprises a superb team of 5: Chef, butler (8 years), housekeeper (12 years), laundress and gardener.